April 1 is a day when up is down, down is up, brunettes are blonde (maybe not) and Dr. Phil McGraw is mustache-free. 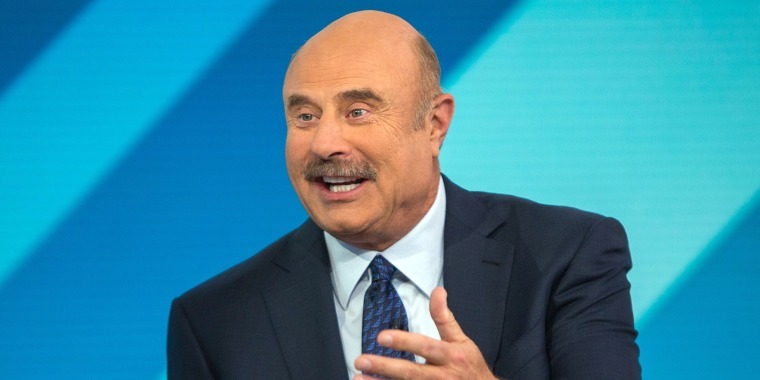 Yep — Dr. Phil claimed Monday in an Instagram post that he'd shaved off his signature mustache. "Well... I did it," he wrote in the caption. McGraw is seen holding up a razor while sitting in a hair-and-makeup chair with a wide-open upper lip. And if you click through the slideshow you'll get a short video of him lathering up, and that razor coming awfully close to that famous face. The timing of the post was suspicious, of course, and he later revealed that it was just an April Fools' prank. McGraw did switch up his look about a decade ago. Back in 2010 he shaved off the mustache during "The Oprah Winfrey Show," which was broadcasting live from Radio City Music Hall in New York. Before that he hadn't removed it in 40 years. These past several months have seen at least one notable development in famous 'staches. "Jeopardy!" host Alex Trebek startled us all with a shave last September, and he's been without his mustache ever since. Perhaps it is becoming some kind of slow-moving trend, but hey, change is good, right?